How to Help Your Child with Autism Survive The Holiday Season Posted on December 7, 2011 at 8:40 am Originally Posted in "Patch Wheaton" Well, here we go again! 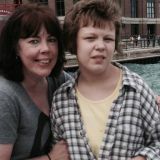 Figuring out and treating Kaitlin’s new (since 2013) issues that i believe are not related to her autism diagnosis. Please...i beg...help with possible movement disorder, tics (possible pans) and explosive (variable and not consistent) tendencies. K has fallen very deep into a black hole in the past 4 years. Life has become unbearable for us. I know she can be helped but she is very complex. Helping Kaitlin....there is nothing else at this point. I am 47 and a single Mom to Kaitlin, i sure would love a hobby and the ability to date again but until i help her there is nothing else. An Affair to Remember, Titanic, Planes, Trains and Automobiles Yes, all old, have i had time in the past 9 yrs to watch a movie?